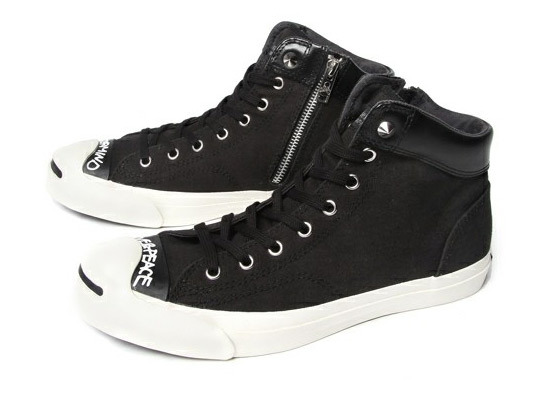 Converse and mastermind JAPAN’s most recent collaboration has just been released for Winter 2011. This tough looking sneaker comes in a black canvas colourway with a leather ankle wrapping. Graphic details have been labeled on the toe box and mastermind logos on the tongue, heal and zippers. An iconic stud completes this sneaker, placed right above the eyelets. Available online at mastermind JAPAN Villa for $200 USD.